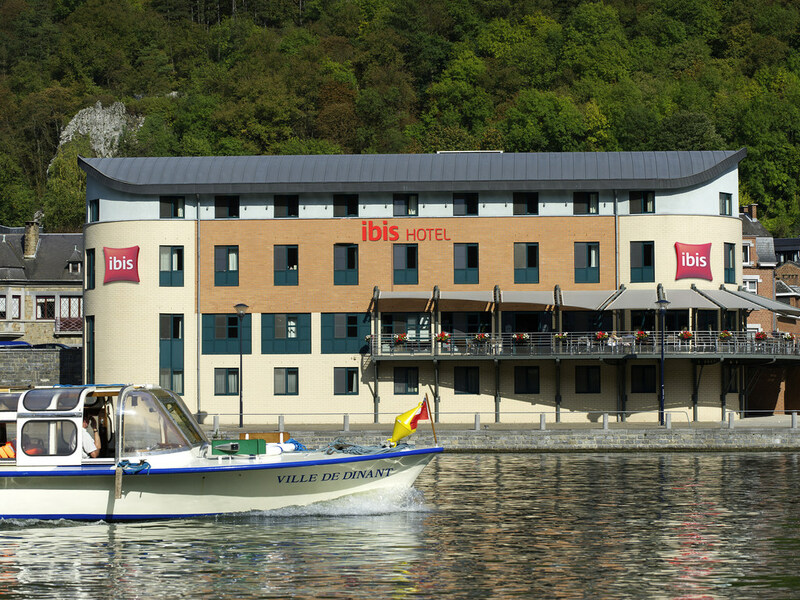 Located on the banks of the River Meuse, the ibis Dinant Centre hotel is the ideal base for your stay in Dinant. Enjoy an authentic Belgian beer in our bar with views of the River Meuse. The bar also serves light meals at any time of day. Our hotel is easily accessible by public transport or by car. Dinant train station is located nearby and there are several bus stops around the hotel. You can reach the A4/E411 highway in a just few minutes by car. All rooms at the Ibis Dinant Center are warm and functional to guarantee your pleasant stay, whether you choose a room with or without a view of the Meuse. All rooms have free Wi-Fi access. Bra boende, centralt och trevlig personal. Trevligt hotell med bra personal. Enkelt hotell med det mesta. Ett centralt beläget hotell, alldeles intill floden. Bra rum med bekväma sängar, kunde dock vara en bättre stol vid skrivbordet. Fin frukostbuffé, tillgång till garage och cykelram. Trevlig och hjälpsam personal..
Har bott på IBIS hotell tidigare o är alltid nöjd. I Dinant blev jag lika nöjd o dessutom en fantastisk utsikt från fönstret över floden.